Ok, so it’s not. However, when, like me, you come from a place that’s not used to thunderstorms – the pounding rain, loud constant thunder, and flashes of lightning can make one feel that way. We left our Lincoln Park neighborhood apartment on Wednesday for the small suburban town of Schererville, Indiana, about one hour outside of Chicago. 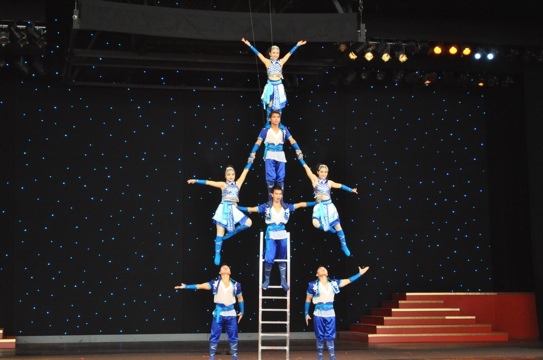 One of the last things we did before hitting the Indiana border was catch a Shanghai acrobatic show at Navy Pier. 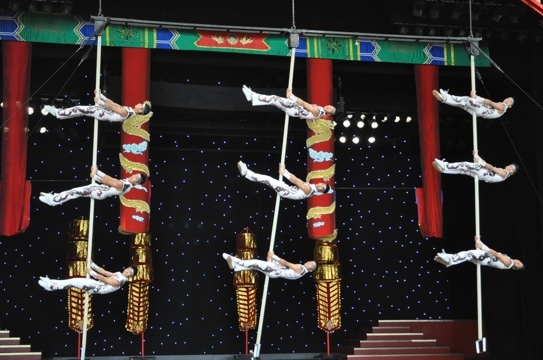 I was a little skeptical at first – but the acrobats ended up amazing me. How people can do that with their bodies is completely unreal! Being Chinese, I must share some of the same genes as them, but I don’t even have an ounce of their flexibility. Oh well. 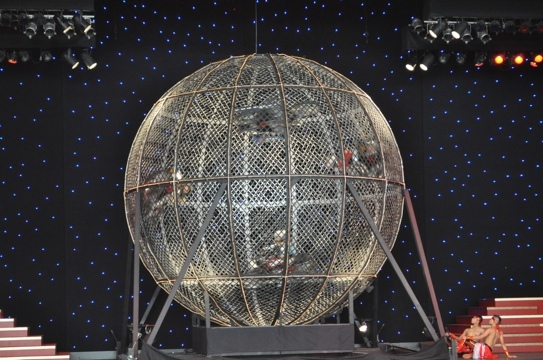 Hard to see – but there’s 4 motorbikes driving at one time in that cage at high speed. Crazy! After the show, we headed to visit our friends in Indiana, meeting them in Gary. Unfortunately, downtown Gary is like a ghost town – with boarded up windows, dilapidated movie theaters, and gated stores – pretty depressing. The Kingdom Hall, on the other hand, was beautiful, both structurally and by the warm people inside. What a nice experience! 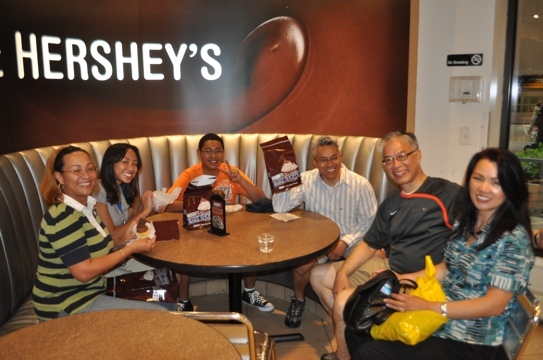 Now we’re in the suburb of Schererville visiting with our friends. 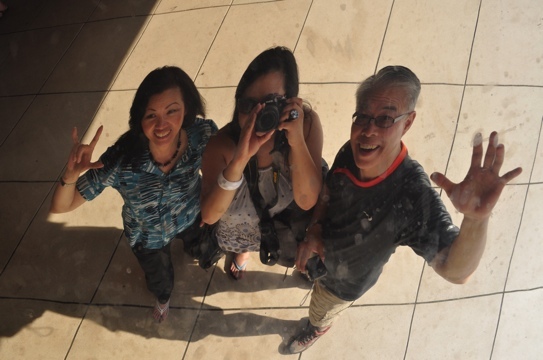 There isn’t too much to do here – so yesterday we went back into Chicago. 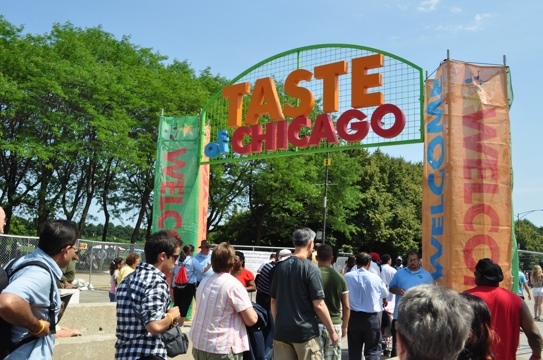 Once there, we braved 80-90 degree weather to attend the Taste of Chicago food festival. 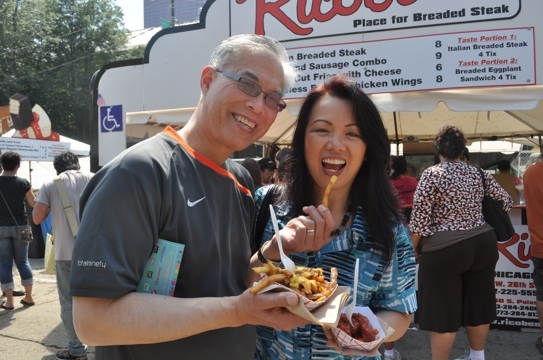 Different restaurants throughout Chicago set up booths to sample their famous dishes. We had: buffalo wings, cheese fries, frozen kefir with blueberries (kefir is kinda like fro-yo but supposedly better for you), dried chili chicken (from a local Chinese restaurant), and chocolate cheesecake. Yum! Fully full, we then proceeded to walk it off by walking through Millennium Park and shopping on Michigan Ave (aka “The Magnificent Mile”). 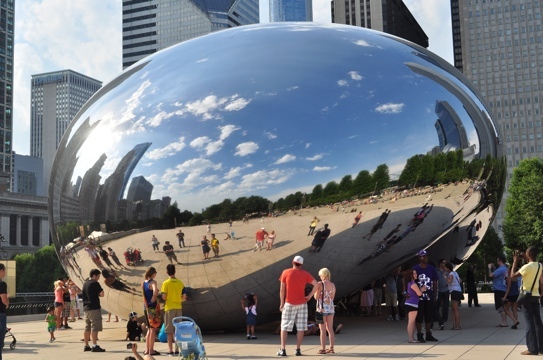 The famous “Bean”, a massive reflective sculpture by one of my favorite artists, Anish Kapoor, provided fun photo-taking opportunities, as always. However, after leaving H&M on Michigan Ave, a crazy phenomenon occurred – it started pouring rain. And thundering. And lightning! As you can see from the photos above, it was just sunny a few hours earlier!!! So we’re standing in the entry way of H&M, too afraid to leave, watching trees blow into streets, people running in the rain, soaked to the bone! After taking a deep breath, we joined the crazy masses, running to shelter. Chicago weather is crazy!